Sheep on hill sample. Click for larger view. Here is a sample of a possible Art Auction project. 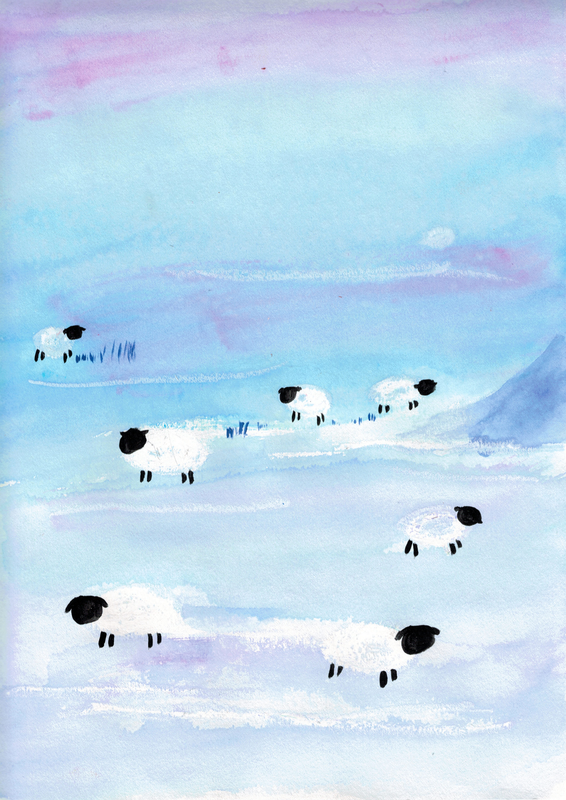 The sample starts with making sheep bodies, horizontal lines with white oil pastel as wax resists. Then pink, blue, purple watercolors are washed on the page to create the landscape including a small blue hill on the right. Once paper is completely dry, black acrylic paint is used to paint legs, heads, ears on the sheet. Detailed instructions are found at Art Auction Assigned Project webpage. 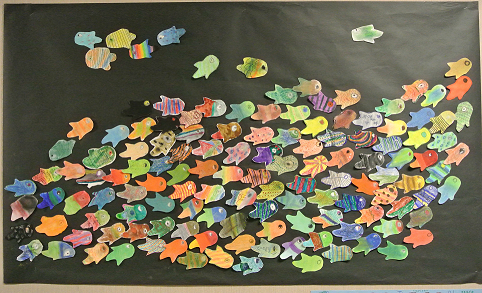 This Art Imagination session was done in Spring 2014 in one Kindergarten and one Third Grade class. We had lots of fun.